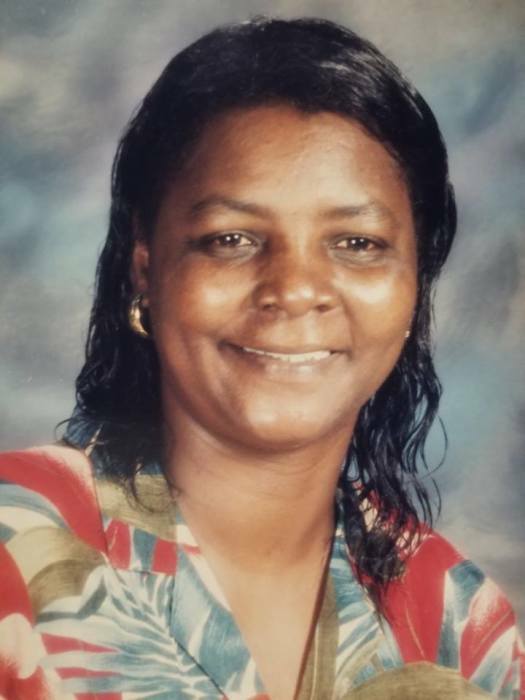 CHADBOURN—Christine Vontine Williams, 62, of 209 Land Street, Chadbourn, died Friday, April 5, at Lower Cape Fear Hospice Angel House. The funeral will be 2:00 PM Thursday, April 11, at the Brunswick-Waccamaw Baptist Headquarters, 600 Pinelog Road, Whiteville. Burial, with dove ceremony, will be in the Belvue Cemetery. Viewing will be at Peoples Funeral Home of Whiteville Wednesday from 12:00 to 7:00 PM and at the headquarters Thursday following the service. Surviving are her daughters, Sharon Williams and Erica Williams of Chadbourn, and Vontaria Jennings of Statesville; son, Wayland Williams of Chadbourn; mother, Arnetha Robinson of Chadbourn; sisters, Bobbie Bonner of Aliceville, AL and Pamela Spaulding of Chadbourn; and brothers, Clayton Williams and Gary Robinson of Chadbourn. Friends may visit the family at 3331 Haynes Lennon Highway, Chadbourn, NC.